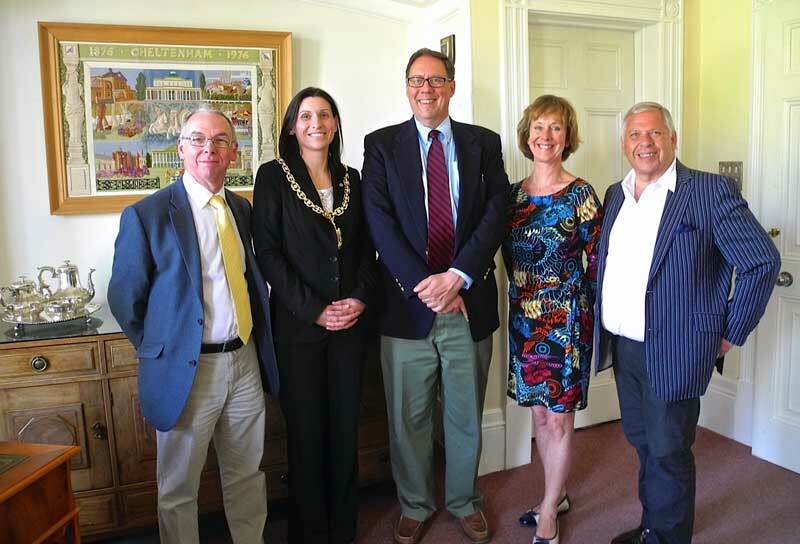 On Tuesday 4 June, the Mayor and Deputy Mayor received a visitor from CheltenhamPennsylvania in the Parlour. David West was on a 4 day visit to Cheltenham, having spent some weeks on secondment at Kraft Foods many years ago. David was very interested in the history of the town and our links with the USA. 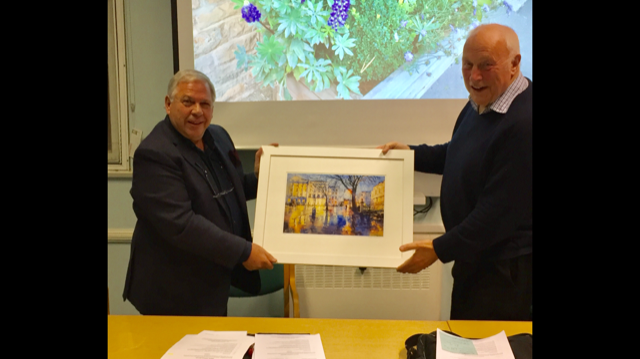 A member of the Twinning Association and local history society showed him around the town. 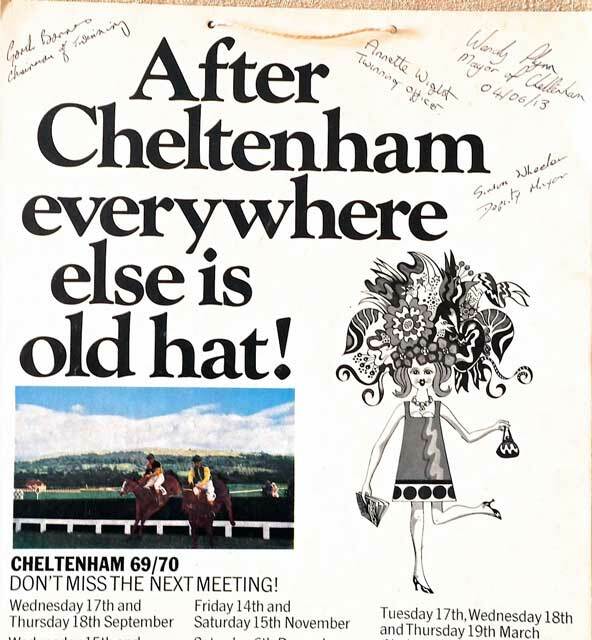 David had a momento of Cheltenham Races from the 60’s which he asked us all to sign. Cheltenham Pennsylvania have requested a link for their Auxiliary Police group with a similar group in Cheltenham UK. The Auxiliary police are specially trained volunteers who assist regular police with crowd control at special events or traffic control at accident scenes. They have been put into contact with our Police Special Constabulary.